Dr. Singh graduated from NYUCD at the top of his class and completed residency in Dental and Oral Surgery from Brookdale Hospital Medical Center followed by a fellowship in Dental/Oral Implantology also at Brookdale Hospital Medical Center and NYU. He then completed a rigerous program in anesthesia at Montifore Hospital and Albert Einstein School of Medicine. He is dual board certified Diplomate of the American Board of Oral Implantology/Implant Dentistry and the International Congress of Oral Implantologists as well and a Fellow of the American Academy of Oral Implantology. He served a term as the board examiner for the American Board of Oral Implantology and currently serves as an editor of the prestigious Journal of Oral Implantology and is on the editorial board of several other journals and has published extensively. He is an attending and faculty at North Shore University Hospital – LIJ Medical Center and inventor of the widely popular implant system “Singh GPS” developed in collaboration with Meisinger. He recently authored the “Atlas of Oral Implantology – 3rd Ed.” published by Elsevier and developed the award winning “APP-NEA” algorithm for treatment of Obstructive Sleep Apnea with a Mandibular Advancement Oral Device. He was the founder and past president of Arch Dental Associates with offices in Manhattan and Long Island, NY and in 2013 joined Heartland Dental. Dr. Singh is a leader and pioneer in dentistry, and in 2004 was the first dentist to be featured on the cover of the annual “Medical” issue of Biz India, an international business publication. Dr. Singh has to be the hardest working clinician in dentistry. He is a Faculty Member at the Hofstra School of Medicine, Attending at NSUH-LIJMC, Editor for the Journal of Oral Implantology and on the Editorial Board of Dental/Implant Tribune. In addition to this, he also is a private practice dentist that takes the time to mentor young dentists. If I ever have a question regarding dentistry, I always ask Dr. Singh because I know he will give me the best recommendation based on his extensive clinical experience and knowledge of all the current literature. Dr. Singh definitely deserves this award! Dr. Singh is an exceptional clinician who always strives to better himself and put his heart out there to help other dentists. He is intelligent, experienced, and successful, and is respected by people both inside and outside the field of dentistry. What really place him above the best is his humbleness in his demeanors and his genuine interest in helping others. I am truly fortunate to work with Dr. Singh in the same organization. Dr. Singh is an exceptional clinician and a great mentor. He is very knowledgeable and always willing to help his colleagues. Dr. Singh excels not only as a clinician but also as a great mentor. Arguably one of the most knowledgeable doctor in our field and he does it so well by his humble and down to earth nature. He is extremely helpful to anyone and everyone, a visionary and a pure genius. True leader! When looks to have one take care of your dental needs, many look for characteristics like extreme attention to detail, an ability of the doctor to relate to and communicate easily with his/her patients and a commitment to their patients. These characteristic qualities are what allows Dr. Pankaj Singh to differentiate himself from his peers. I say this as being one of his peers that has seen his selfless commitment to our profession of dentistry. His ability to aid other dentists as a mentor and friend are well documented. I pridefully call him my colleague who is striving to make dentistry a better profession for the dentists he mentors and a better experience for his and their patients. Dr. Singh is a very kind dentist who was happy to help me in a time of need. I would feel comfortable asking him for help again. As a dentist, I am proud to say that Dr Singh is my dentist. He has a wealth of knowledge in his field that is unparalleled, but his unwavering commitment to his patients is what makes him truly special. 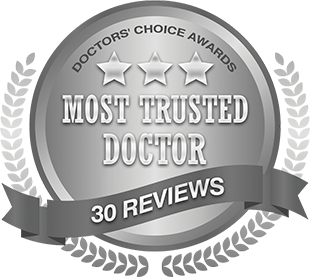 Dr. Pankaj P. Singh is an outstanding physician. His accomplishments professionally are only second to what he does as a genuinely good human being. He is a perpetual student/teacher. His humble manner as a mentor allows one to learn without the stress of feeling inferior. Pankaj deserves any accolade that that demonstates the qualities that I spoke off……. i have had the pleasure of knowing Dr. Singh for 2 years. he is a walking encyclopedia of knowledge and is most generous of his time passing that knowledge to others. his passion and genuine concern for all his patients is a testament as to why he deserves this award. i spent a day with dr. singh in his manhattan office and watching him interact with his patients taught me many pearls to go home with. his brilliance and dedication to his colleagues and his patients is well known. on top of that he is a true gentleman. he is certainly an asset to our profession. bravo dr. singh! Like the old ads for the E.F.Hutton brokerage firm, “When Dr. Singh speaks, people listen.” Pankaj cares for the profession and he gladly shares his wealth of knowledge. Dr. Singh is a highly skilled professional and is always sharing his knowledge to help fellow dentists. I have had the pleasure of working very closely with Dr. Singh at his Huntington Long Island office. I consider him to be a mentor and confidante and I’m lucky enough to witness him in action on a regular basis. He is one of the most brilliant people I know and uses his extensive knowledge to treat not only the problem but the person as a whole. I have seen him diagnose and treat patients suffering from chronic problems that no other clinician could find appropriate therapy for. He develops a personal relationship with his patients even going to the lengths of finding them impossible to get tickets for hockey games or coming on his day off to treat disabled patients who can’t make it to the office otherwise. In addition to practicing dentistry in a private office setting and the multiple other accomplishments mentioned in his bio, he also contributes his time as a volunteer EMT with the local Fire Department and goes on trips with the prestigious Smile Train as part of a team that performs cleft lip and palate surgeries for underprivileged children. Throughout it all he is always charming and modest and can discuss dentistry, music, social events and any other topic with the best of them. There is no other way to describe him than a Renaissance Man!! He is most deserving of this award for all his contributions and his kind nature. Dr. Singh is a remarkable colleague and professional who is truly making a difference in the dental community. Dr. Singh\’s desire to do the right thing, and do it right, makes him #1 in my book. One can bank on anything that he says and put it into practice immediately. A wealth of knowledge and always happy to share. Dr. Singh is a great clinician with immense knowledge. He is always willing to help and share his expertise. Great clinician, mentor and role model. Always willing to share and impact knowledge. . He is never too busy to help a colleague..I am glad to know him. Inspirational about his dedication and commitment on give others his time to share his vast in depth knowledge. Absolutely phenomenal and down to earth person ! Dr Singh is a very skilled clinician and is most generous with his vast knowledge. Dr Singh is very talented and phenomenal Clinician/Mentor. He is passionate to help fellow Healthcare provider and patients by sharing his knowledge and expertise. He surely deserves this great recognition. 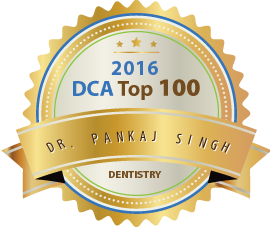 Dr.Pankaj Singh is one of the best doctors in the country, who not only provides the best care to his patients, but is always there to share his vast knowledge in the field of dentistry and Medicine with his colleagues.He is a walking encyclopedia in the field of Dentistry. He is always humble and shows lot of respect to others. I wish him all the best. Dr. Singh is very compassionate about his role in dentistry. Not only is he an admirable practitioner, but also a committed educator. very deserving of this award. Dr. Pankaj Singh is a true professional in every sense of the word. He is a skilled clinician, a constant student, a wonderful mentor and guide, and a true renaissance man. He is humble, helpful, and always willing to share his passion with others. I am honored to have been able to share this profession with him. Great doctor and generous with his knowledge. Dr. Singh is a world-class clinician and a truly generous educator. I can think of no one more deserving of this recognition. The most knowledgeable dentist I know. Dr. Singh is one of the most generous doctors that I know. He is very knowledgable and more than willing to share his expertise. He makes himself available and always treats others with respect and compassion. He is one of the best mentor. Great inspiration .Very knowledgeable and more over he is always ready to share his knowledge and experience with anyone. Humble man. The best of the best with a heart of gold. I cannot stress enough that Dr. Singh is one of those dentists that not only knows dentistry inside and out, but absolutely cares for each one of his patients. I would not hesitate to have Dr. Singh work on myself, wife or any family member…..that says a lot. Most people also don’t realize how much he has given back to the community and more specifically to other younger dentists. We all owe him a debt of gratitude and recognition for this talents (even though he will humbly deny everything I just said). Thanks for taking care of your patients at such a high level. I could not be more happy for Dr. Singh being nominated; he certainly deserves nothing less. It has been such a pleasure to work with him and I look forward to many continued years with this colleague. I\’ve been privileged to know Dr. Singh for a little while and benefit from the wealth of his knowledge. He has an incredible gift for sharing his knowledge in a wide range of topics in medicine and dentistry. I am a better clinician because of Dr Singh. The best. Incredibly knowledgeable. Always helpful. A walking talking encyclopedia of dentistry, with a great attitude to boot. He makes everyone around him better, the mark of a truly great leader in his field. Dr. Signh is a caring and compasionate advocate for both patients and other doctors. He si always willing to share, both on a professional and personal level, those things he believes will elevate and uplift those around him. It is pleasure and privelage to be his colleague. 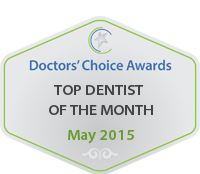 Dr. Pankaj Singh is one of the most knowledgeable dentists that I have been fortunate to have met. He posses thorough knowledge in all aspects of dentistry. I am very lucky to have him as a resource and mentor. I could not be more proud to say that Dr Singh is an esteemed colleague of mine. He is incredibly deserving of this honor. I have known Dr. Singh for over 2 years and I can honestly say he is one of the BEST clinicians I have had the pleasure of coming across. His passion and commitment for dentistry is unmatched. His knowledge and willingness to share it is exemplary. He is humble, honest, hard working, compassionate, and just plainly put, a treat to be around. If ever there was a person who deserves this award, it is Dr. P. Singh. All the best to you!!! It is a privilege to have guidance from such a great clinician. Dr. Singh is a great mentor and has deep passion for helping patients and colleagues. He is very knowledgeable and a motivator. Good luck.! Dr Singh is an amazing doctor, his knowledge is up to date and he is always so helpful to patients and colleagues. Most importantly is he is so down to earth and always plays down his accomplishments. His hardwork and dedication to his patients and dentistry as a profession is commendable. Its a pleasure knowing him!! Dr Singh is one of the very few dentists that possesses extensive knowledge in all different areas of dentistry. He has been extremely helpful with sharing this knowledge and helping out his colleagues. Dr. Singh is one of the best clinician I have ever come across. His knowledge is immense and unmatchable . He is extremely caring and personable.If I ever needed any advise I would definitely reach out to him for his input. Not only does Dr. Singh have an unyeiliding a passion for learning dentistry, but he also thrives at helping his fellow colleagues acheive a higher level of care for their patients. His advice is always thoughtful, detailed, and supported by many years of clinical experience and research. He has been a valuable asset for me and countless other doctors. I have worked with Pankaj on a number of levels as a colleague and a friend. I find him exemplary. He is very knowledgeable and is always willing to help and share his expertise. What we share in commons is first a foremost a thurst for knowledge and a desire to help our patients and friends. He has been an innovator and a motivator for as long as I have known him. I feel that he has a great spirit and he is one of a few people whose opinion I truly value. I not only am privileged to be Dr. Singh’s colleague, I’m also his patient like so many other doctors who trust him to care for them. Wishing him all the best.